SocialBox is a easy to use WordPress Plugin which enables you to add a sleek social widget to your WordPress site or blog. 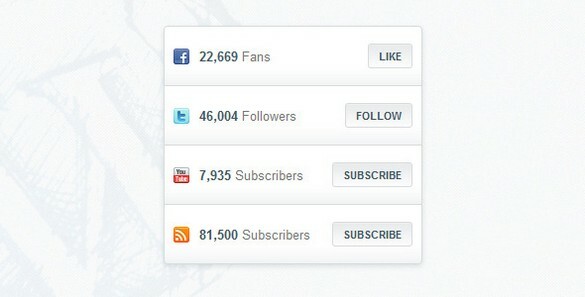 It displays the current numbers of Facebook likes, Twitter followers and YouTube Channel and Feedburner Feed subscriptions. 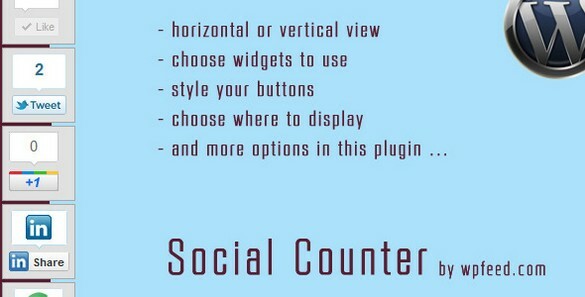 WordPress Social Counter adds social media counters to your blog posts from many services including Twitter, Facebook and Google +1. Posts By Author Widget Pro for WordPress is a plugin that provides a very powerful widget that can be used to display a list of posts published by a specific author. With 15 configurable options, this widget is extremely flexible and will suit any WordPress site. Extended Tags Widget – WordPress Premium Plugin is an advanced widget that gives you total control over the output of your tags. The Tags widget replaces the default WordPress Tag Cloud widget. Advanced Categories Widget is an advance and great widget that gives you total control over the output of your categories. The plugin support multiwidget, category image, easy to customize and full features. Displays a list of Categories as links. Custom Post Widget is a WordPress Plugin that shows your popular, most commented, recent, tag based, category based, or any else custom post to a widget. It comes with a highly-customizable control panel. It is easy to use and support multiwidget even in the same sidebar. Authors Widget is a widget that shows your site authors with details description and avatar. Widget can be used multiple of times even in one sidebar area. 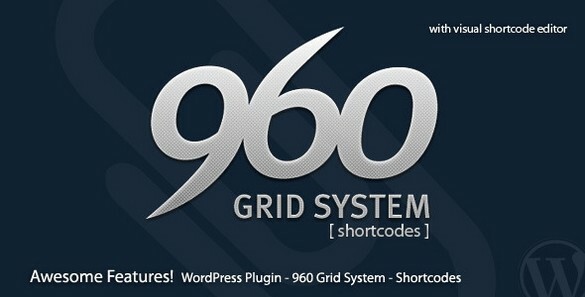 960 Grid System Shortcode – Do you have a 960 grid system installed in your WP theme? By using this plugin, writing the post/page content is become very easy. No more typo-error and no need to remember one_fourth, two_third_first or first_for_the_last. You just need to know your grid number for your content.